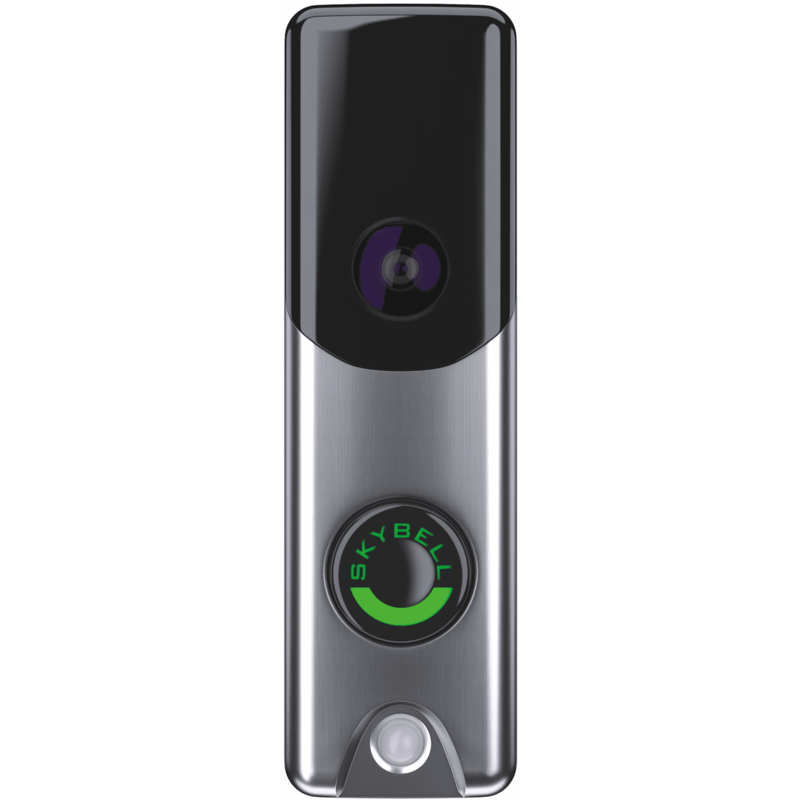 The Alarm.com ADC-VDB105 is a satin nickel color, slim line edition, video doorbell camera. The ADC-VDB105 doorbell contains a built-in integrated camera, PIR motion sensor, digital microphone and speaker. Use the ADC-VDB105 slim line edition and it's sleek design, for installations on thin door trims and frames. With the ADC-VDB105 installed do-it-yourselfer's will always know who is at the front door of their home. The ADC-VDB105 enables homeowners the ability to answer the door and speak to visitors via two-way audo, right from their Alarm.com app.